Australian football is played widely overseas with international participation exceeding over 100,000. An Australian Football tournament being played by players from around the world is a true highlight on the AFL’s calendar, and with the development of the International Cup and the game internationally, greater opportunities exist for players to succeed at much higher levels. Want to play Australian Football? Find a league near you! Held every 3 years, the AFL International Cup is a celebration of AFL football on a global scale. It is a unique and special event on the football calendar where people across the world come together to participate in the spirit of our game. The AFL has announced the 2017 AFL International Cup (IC17) will be held in Melbourne, from August 5-19. The AFL’s head of community and international development Grant Williams said he expects the 2017 carnival to be the biggest yet. Find out more. Australian football is a unique game utilising many skills. It is a favourite Australian pastime, generally regarded by the players and spectators as the greatest game of all. 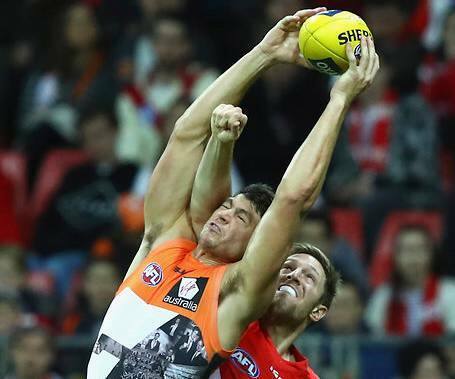 Spectacular high marking, penetrating long kicking and non-stop action are features which distinguish Australian Football from other football codes such as Rugby Union, Rugby League and soccer. Get the basics including how the game is played, player positions, key skills and scoring. 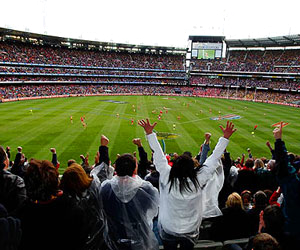 AFL fans living or travelling outside Australia can stream every match of the 2018 Toyota AFL Premiership season LIVE and on-demand on Watch AFL. Plus catch every match of the 2018 NAB AFL Women's Competition, the new AFLX Tournament and the JLT Community Series. You'll also get access the 24/7 FOX FOOTY channel fo the latest news, in-depth analysis and entertainment with Eddie McGuire, Garry Lyons, Nick Riewoldt, Dermott Brereton, Jason Dunstall, Jonathon Brown, and more. Find out more about Watch AFL.